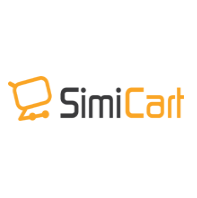 SimiCart is an m-commerce solution for Magento merchants to create a mobile shopping app to increase customers’ loyalty. We do know that besides SimiCart, there are a lot of mobile commerce solutions which can get you a shopping app and all of them have their own advantages and disadvantages. However, we believed that thanks to advanced features we have got and which ones we are developing, our product is completely outstanding and different to others. Not only product, our great support service also is one of our strengths to make you believe in your decision. Startup spirit: No entrenched structures here. We are energetic warriors in a growing startup! Casual wearing: No dress code here. Just wear whatever you like. FYI, our marketing manager’s favorite is shorts. International environment: We got customers all around the world. Talk with our customers from Kuwait, Lebanon to USA, France,… everyday. International conferences: We join regional and international e-commerce/ technology conferences or exhibition regularly. Drinks: We’ve got a lot of kinds of drinks like coffee, ice tea… for you to enjoy!